The Department of Music has compiled this document to provide basic information for teachers in its Applied Music Program. Please feel free to contact individuals listed at the bottom if you have questions at any time. Applied Music is one of the cornerstones of our work in the liberal arts college environment. We believe that in optimizing your teaching experience we enhance the learning of our students, and we are profoundly grateful for your contribution to our department. Annual procedure for new and returning employees: Please return your signed contract to the PROVOSTS OFFICE (1200 Academy Street if using post; or via email to tabatha.coleman@kzoo.edu) by the date given on the letter. New Employees must visit the HR Office in Mandelle Hall (269-337-7225; hr@kzoo.edu) to complete required forms. New Employees must visit Campus Safety in the Hicks Center (269-337-7321; security@kzoo.edu) for a parking pass and a picture ID card. This ID card gives you swipe entrance to Fine Arts Building and Library privileges. 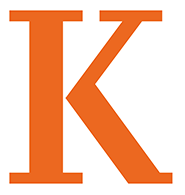 New Employees must visit the Information Services Help Desk (269-337-5800; helpdesk@kzoo.edu) on the main floor in Upjohn Library to set up passwords and Kalamazoo College e-mail account. For new and returning employees, your password will need to be updated QUARTERLY. If you let it expire, you will not be able to access email or the Intranet Portal. Please call the Information Services Help Desk 269-337-5800 for assistance if needed! Maintaining access to the Intranet Portal is essential for communication with students, checking your class roster, and grading (see below for more information). Faculty Mailboxes are located in Fine Arts Building (FAB) 130. Access to this room is generally available between 8 a.m. and 5 p.m. weekdays. You may find your mail in either a box or folder with your name. To renew an expiring Faculty/Staff parking sticker, please visit Campus Safety in the Hicks Center 269-337-7321. Stickers permit use of areas designated for faculty/staff parking, including the “upper” Fine Arts Building parking lot and sections of the “lower” FAB lot. FAB129 is the central hub for the department's organization and is open from 1-5pm weekdays. Facilitating music and art students and faculty with room scheduling, student lockers and college administrative issues. Students register for ten individual half-hour lessons per quarter. A student may also register for hour-long lessons with instructor permission and through submitting a form to the registrar's office. Group lessons may be available in some areas. Students should consult the Department Chair if they have questions. The student earns 1/5 unit for each quarter of half-hour lessons, and 2/5 for each quarter of hour lessons (a standard academic class is worth 1 unit). Through Wednesday of Week 1, students may add/drop Applied Music Lessons via their Portal account. During the remainder of Week 1 and all of Week 2, student add/drop must be done in person at the Registrar's Office. Applied music lessons which remain on a student's schedule after Week 2 will be charged to the student's account, whether or not lessons are attended. Applied music courses may be withdrawn (meaning earning a W on their transcript, but no grade) until the end of Week 8. To find your class roster, look in the right column under "Web Advisor" and click "Faculty Information." An account has already been created for you on the Portal. If you don’t yet have a College Network password, please stop by the Information Services Help Desk, in the Upjohn Library to pick up your network (and e-mail) password. At the beginning of each quarter (or shortly before), you must contact your students to arrange a lesson time appropriate for both your schedules. If you encounter any problems in this process, please notify the Music Department Chair immediately, Andrew Koehler, 337-7323 or Sarah Gillig, Fine Arts Coordinator, 337-5050. Sarah Gillig, Fine Arts Coordinator, FAB 120, 337-5050 can help you with quarterly room scheduling, scheduling changes, and room access. We are extremely pressed for available teaching space. Every effort will be made to accommodate your schedule and that of your students, but we do ask that any change in your teaching times, even if temporary, be reported to Sarah Gillig or Susan Lawrence, so that they can make the appropriate changes in room reservations. How they can reach you when you are off campus: through the Music Office, your home phone, e-mail, etc. You should also know how to reach your students by e-mail (or phone if you prefer). This can be best accomplished by using the following template syllabus, which will be sent to your students on your behalf by Sarah Gillig at the beginning of each quarter unless you prefer to send your own. You are of course welcome to create your own syllabus or to expand/change the template to suit your individual tastes and pedagogical goals, though the basic course requirements – attendance at lessons, area classes, the applied music recital, and hearings, as outlined in the document (please read it carefully! )– must remain in place for all private lesson courses. If you have questions, or would like to offer a substitution for a basic course requirement, please contact the Department Chair. Attendance at all lessons, in two area classes, and in hearings (see below for more details) is required of all students. Any student’s grade will be lowered by half a letter for each lesson, area class, or hearing missed. (Again, please see the template syllabus for more details). Please carefully note the deadline for faculty to submit grades each quarter, available here. present performances of finished pieces, regardless of level, to be considered for that quarter’s Applied Music Recital. Area Classes are also ideal opportunities for constructive exchanges between students and faculty who ordinarily would not see each other in lessons or Studio Classes. Dates for Area Classes are posted on line at https://reason.kzoo.edu/music/events. Contact Susan Lawrence, Event Coordinator, at 337-7070 for more information. Attendance at both Area Classes is required of all students enrolled in Applied Music. Students are selected by faculty for this end-of-quarter recital based on performances in Area Classes. The Recital is intended to reflect the best student performances for that quarter, regardless of repertoire level. Dates for the Applied Music Recital are posted on line at https://reason.kzoo.edu/music/events. Contact Susan Lawrence, Music Event Coordinator, at 337-7070 for more information. Attendance in the Applied Music Recital is required of all students enrolled in Applied Music. During Finals Week of each quarter all applied music students perform in an informal setting and receive feedback from faculty. Students should consult with their teachers in deciding what to present at hearings. Finished works, pieces “in progress,” technical studies, scales, etc. are acceptable. By ninth week of the quarter sign-up sheets will be posted on the bulletin board outside the Department Office (FAB 129) for students to reserve Hearing times during Finals week. Students receive written comments from faculty at the conclusion of their hearings. Hearings are convened in each of four applied areas: Keyboard/Composition, Voice, Strings, and Winds/Brass/Percussion. Performance of a Hearing is required of all students enrolled in Applied Music. Applied teachers of advanced students may request the services of department staff accompanists (https://reason.kzoo.edu/music/Faculty/), most typically for performances. Student accompanists for lessons, area classes, and recitals may be selected in consultation with the keyboard faculty. Music should be provided to the accompanist as early as possible (at least 3-4 weeks prior to a performance - so rehearsals with the student can be set up). Exceptional students may wish to do a full or shared Music Department-sponsored recital. Please contact the Department Chair to discuss this option if you would like to pursue it for one of your students. The College’s primary collection of music scores, recordings, and video cassettes is housed in Upjohn Library and cataloged in “Ariadne” (see the Upjohn Library staff for details). The Naxos Music Library of recordings, as well as an extensive set of online databases and references, is available to students and Applied Faculty online, on or off campus: http://www.kzoo.edu/is/library/depts/musc/index.html. The Department maintains a small music library of older scores and recordings in FAB 36. Access to this library is limited to students accompanied by a member of the music faculty. The Music Coordinator may also provide access to the Music Library in the absence of a faculty member. Check-out procedures are posted and the honor system is in effect; all scores must be returned by the end of each quarter. The College relies on faculty and student recommendations for new acquisitions of music books, scores, and recordings. Faculty and students may file suggestions for new material relevant to their teaching with the Music Event Coordinator or Chair. Students are also encouraged to utilize reference and check-out privileges at the Music and Dance Library located on the third floor of Dalton Center on the Western Michigan University campus. The primary responsibility of the College and Department is to provide the highest possible quality of teaching for its students. For the vast majority of these students, their primary and most intensive musical experience will be the instruction they receive from their Applied and Ensemble teachers. Therefore the success of the Department in large part rests upon its ability to attract the most highly qualified faculty in these areas and to assist them in maintaining the highest possible standards of teaching and professional conduct. All faculty not on tenure track appointments are considered “at will” employees of the College, and in a strict legal sense are employed as their services are needed by the College. New letters of appointment to Applied and Ensemble music faculty are issued every Fall. Faculty appointments are based upon the recommendation of the Chair of the Music Department, past instructional performance, and Departmental contributions as outlined below. Letters of Appointment to Applied and Ensemble faculty require the Chair of the Music Department to review instructional performance. The following procedure parallels that followed by the College in evaluating its academic faculty. It is intended primarily as a constructive aid for the continued growth of individual teaching skills. During hearings, all students will have opportunities to fill out appropriate Course Evaluation forms. Ensemble Directors should distribute Evaluations in the ninth or tenth week of each spring quarter (see Susan Lawrence to obtain these forms). Students will be required to return the forms directly to the Music Office FAB129. Although course evaluations will form the basis of review of instructional performance, attendance and contributions to Area Classes, Applied Music Recitals, Student Recitals, etc. will be considered. In addition, through their interactions with students, colleagues, and members of the community, all faculty are expected to contribute to a positive atmosphere conducive to learning. At any time in the quarter, the Chair may request individual consultation with a faculty member to discuss course evaluations or other areas of concern and may also request that evaluations be distributed and returned fifth week of a quarter to monitor particular areas of concern. The student is charged $312 per quarter for half-hour lessons (worth .20 units), or $624 for one hour long lessons (worth .40 credits). Each student in a group lesson is charged $205 per quarter. Your salary consists of 90% of the Applied Music fee minus deductions of federal and state income taxes and social security, if applicable. Paychecks are distributed twice per term; in November and December (for Fall quarter teaching), in March and April (for Winter quarter teaching), and in May and June (for Spring quarter teaching) by the Business office, 337-7250. Payroll information, accounting and method of distribution of paychecks should be established directly with the Business office. The department has a program of Applied Music Scholarship funds which assist students to pay for lessons, regardless of their major. Auditions occur at the beginning of each school year. Refer qualified students to the Department Chair for information. Applied Music Faculty are also compensated for their services during Hearings and if they run Area Classes, at a rate of $25.00 per hour.